Here are all the gifts I made for my fellow members of the Committee for Ryde Social Heritage Group for Christmas 2011. I am really lucky to be supported by such a friendly and productive group of people and this was my way of saying thank you to them all for all the hard work they do for the group all through the year. 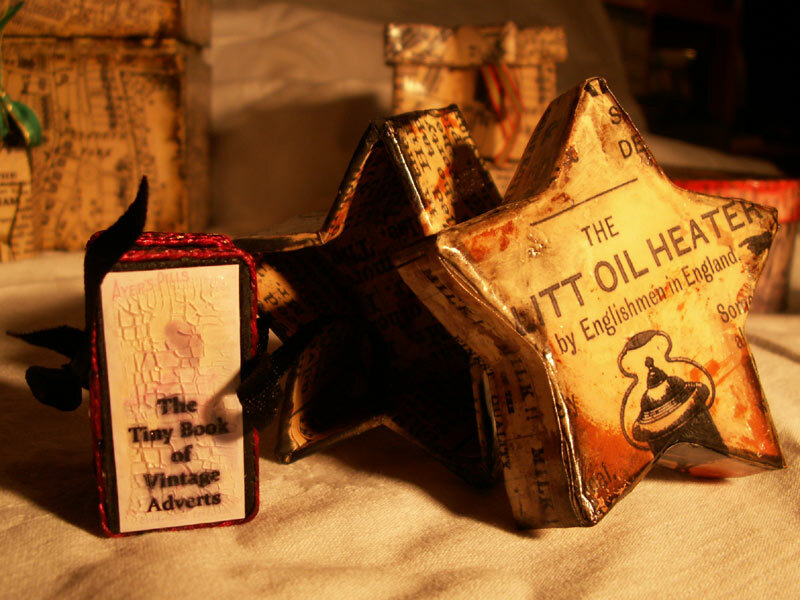 All the gifts are covered in copies of old newspaper adverts and articles or old maps which I scanned, printed and aged by soaking in tea, then used distress inks to age them further. 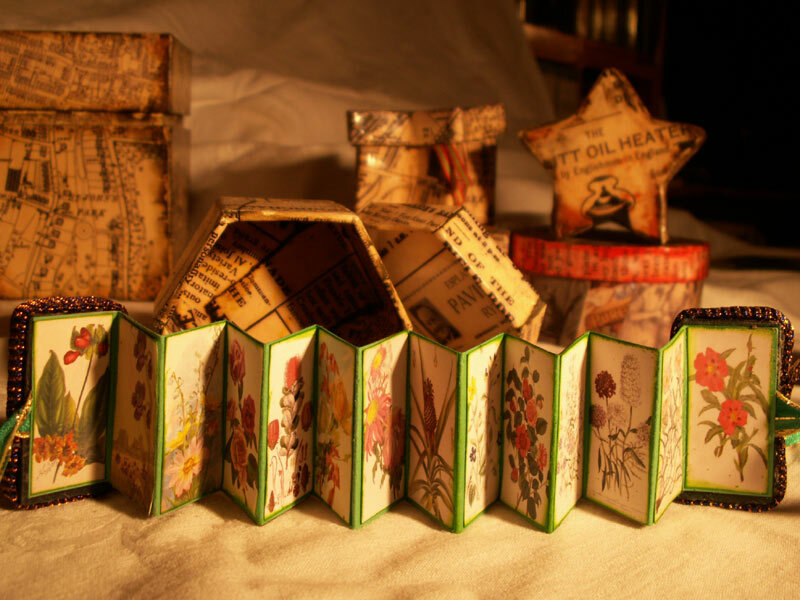 I made Shelagh a small hand bound book measuring about 2″ by 3″ by 1″. For the signatures I used some paper by My Mind’s Eye Lost & Found Christmas collection. 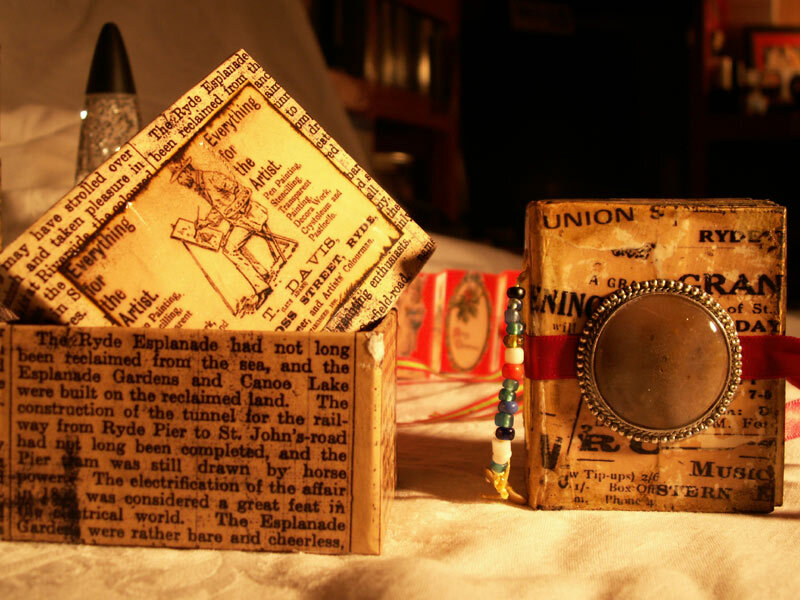 The book is embellished with a large stone from a brooch on the front and fastens with a ribbon. The book fits snuggly inside the box. 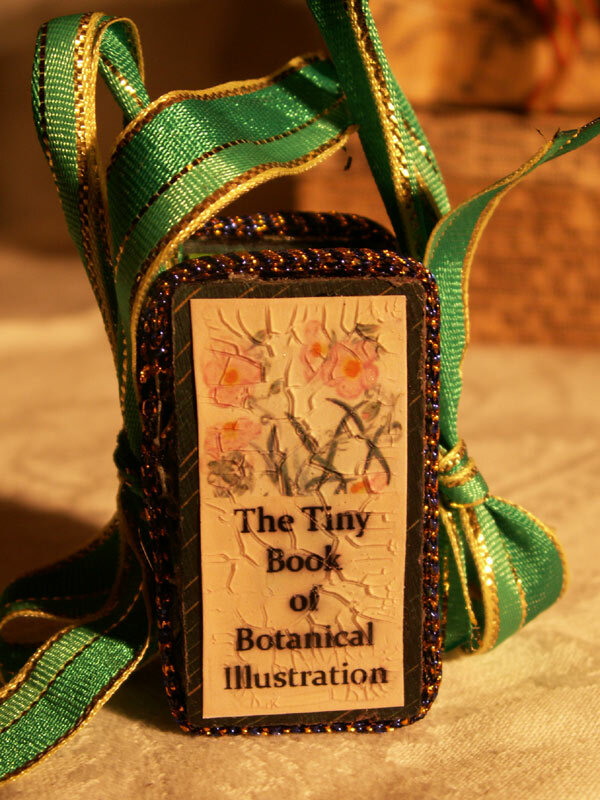 My friend Kate is interested in natural history so I made her a domino book containing Victorian botanical illustrations and on the back some information about how and why botany became so popular in Victorian times. For Arthur & Jill I made another domino book containing copies of vintage advertisements. 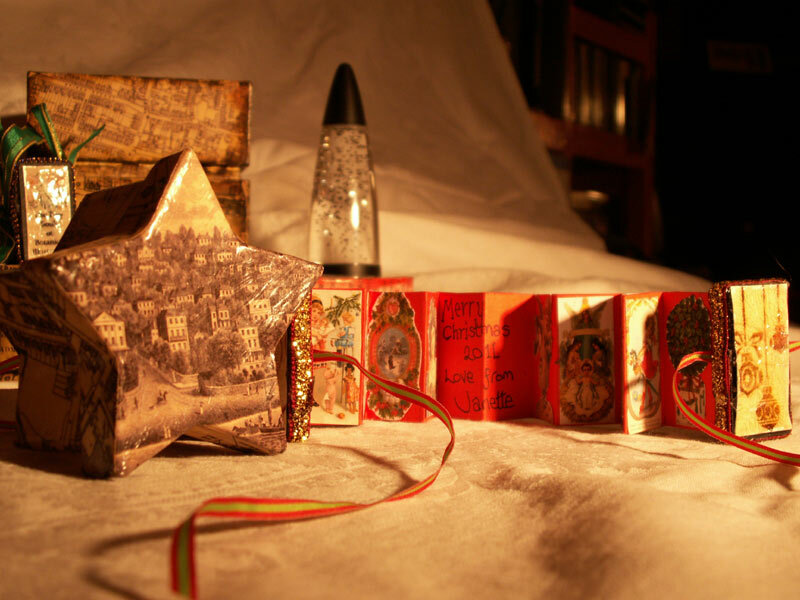 For Colin & Barbara, the newest members of the committee, I made a Christmas Domino book in a star shaped box. The lid of the box is illustrated with a copy of an engraving of Ryde from the 1800s. 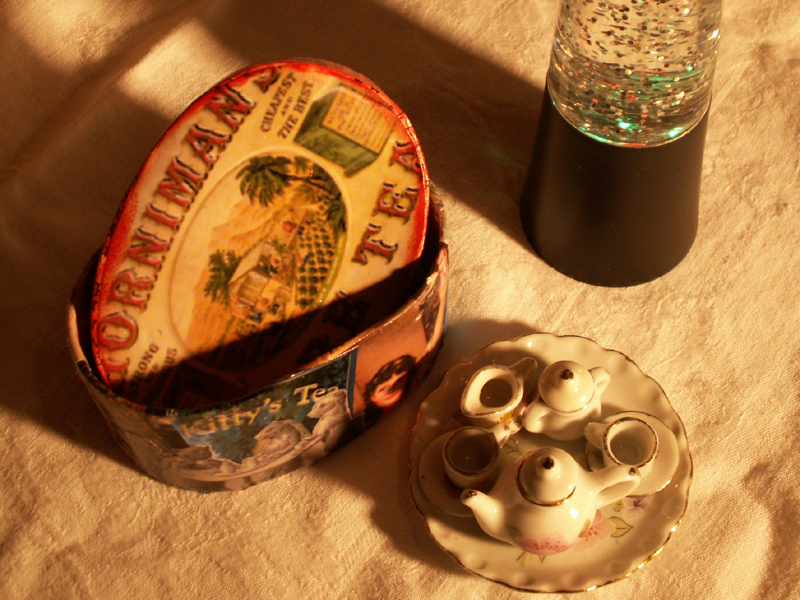 For Ann, our lead researcher, I bought a tiny doll’s house tea set (Ann, Carol and Kate are all dolls house enthusiasts and we often use their work ‘in miniature’ to illustrate historical information about Ryde). The box for the tea set is illustrated with vintage tea adverts. Carol collects tiny pots which have the Ryde coat-of-arms on them, they are inexpensive items and were popular souvinirs for visitors to the town to buy back in the days when Ryde was a popular holiday destination. In a collection the pots look great. 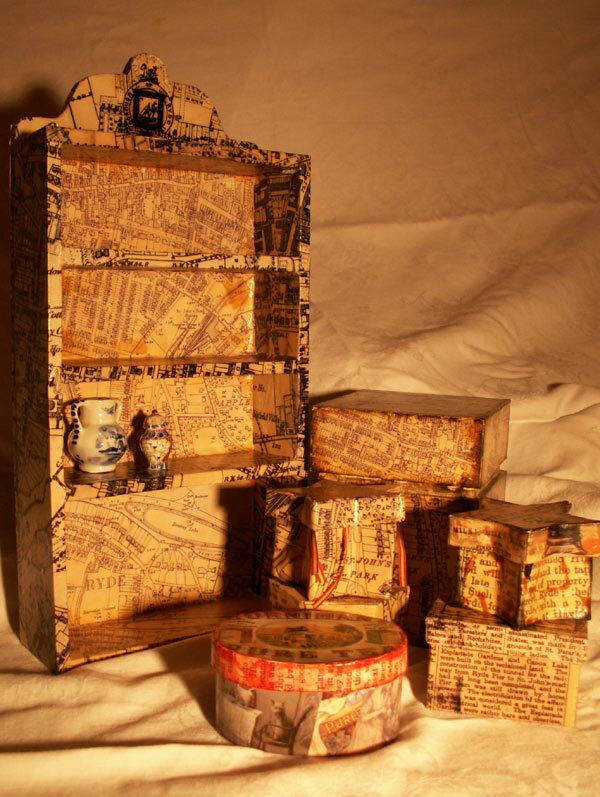 Carol needed somewhere to display her collection of pots so I altered this small set of shelves with old maps of the town. The square box at the back of the picutre is a box I altered for my friend David, he is no longer a committee member but nevertheless does a tremendous amount of work for the group. He drew all the fantastic maps to help visitors locate graves in 4 of the cemeteries in our town. He keeps saying he is getting too old to keep doing stuff, but he is always there , helping out. 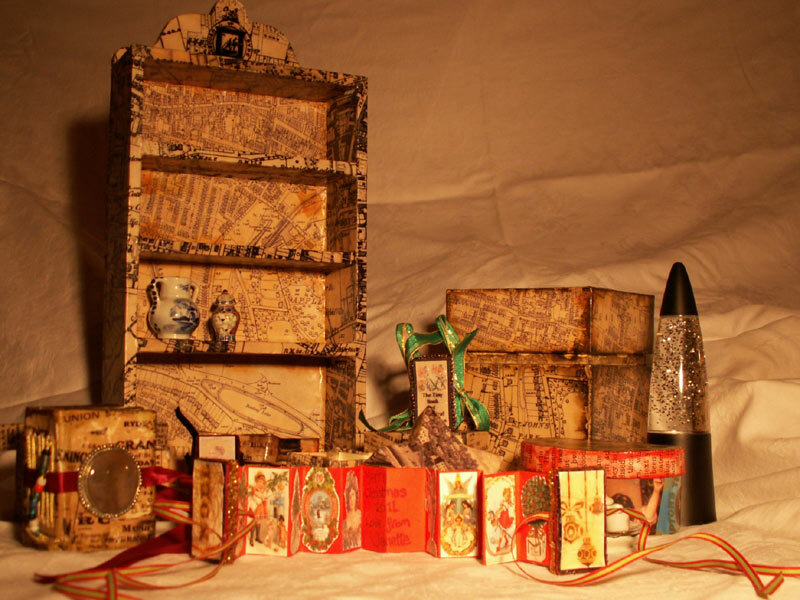 The box is covered inside and out with old maps of the town and inside the box I put a few marbles and a note saying, “Sorry it’s just a box, I thought you could keep your marbles in it so that you don’t lose any more”. I LOVE all these boxes! 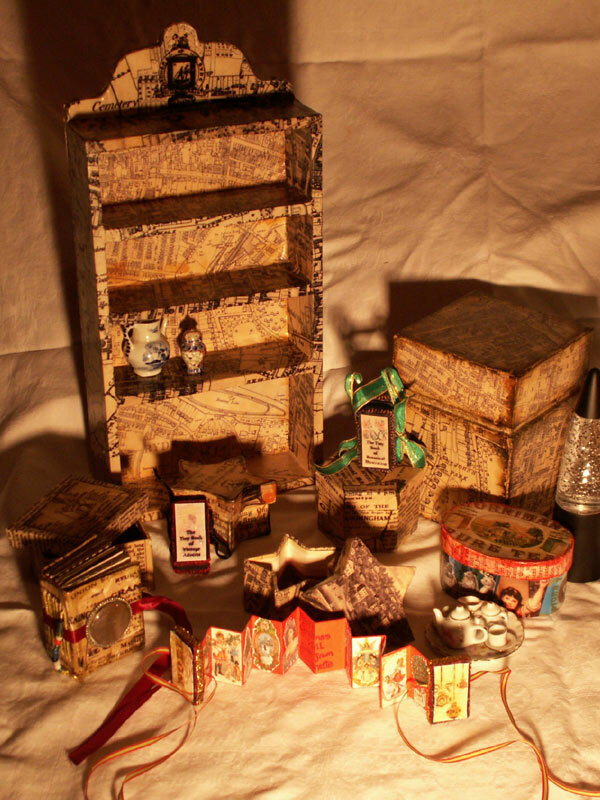 I wish I had done more like this for Christmas….and included a note about marbles! LOL! all of these are wonderful treasures! These are all sooooo beautiful! I can’t believe while I was looking at all of your art journal posts, I didn’t wander over here! Wonderful collection! 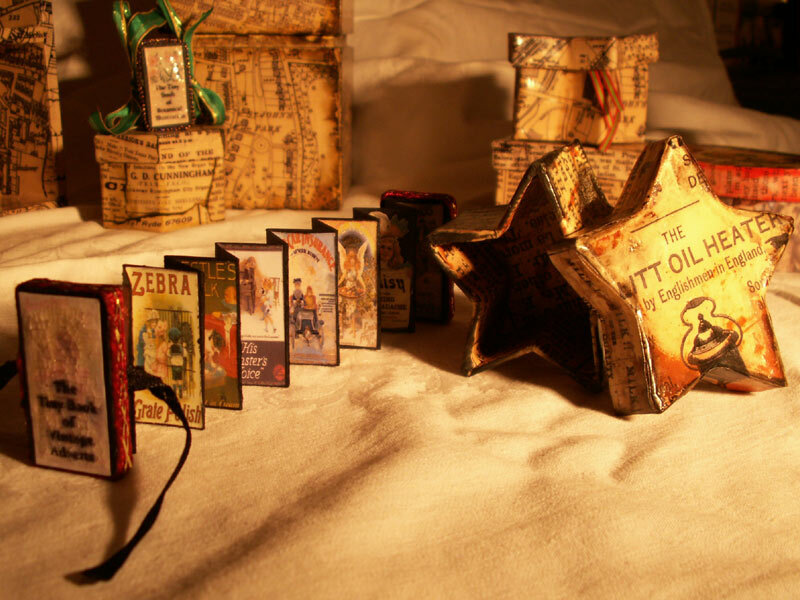 I love the boxes and the little books!